Much of your home’s comfort during a blistery cold Pittsburgh winter depends on your furnace. Not only do furnaces today have to be reliable, they also have to be energy efficient and regularly serviced to withstand the test of time. A home with an older inefficient furnace is costing you money year in and year out. If your home isn’t properly heated, the furnace runs continuously resulting in a higher utility bill. Older furnaces wear down and inevitably need costly repairs to keep going. If your HVAC system is more than a decade old, it may be time for an evaluation to determine how much longer it will run without the need for costly repairs. If your furnace has truly seen its last days, or you need a furnace for a new construction, we’ll navigate you through the process of finding a furnace that fits your budget, helps you save on energy usage, and has been properly sized and installed to keep your household safe and warm. Energy efficiency is the main selling point of a new furnace installation. Today’s furnaces must all have an AFUE rating at or above 80% – meaning at least 80% of the fuel consumed produces heat. You can choose one of these or pay a little more for a furnace with a 96% AFUE rating to be even more energy efficient and lower your utility bill. A new furnace is a substantial investment. Entrusting us with the responsibility of finding and installing the right furnace is something we take very seriously. 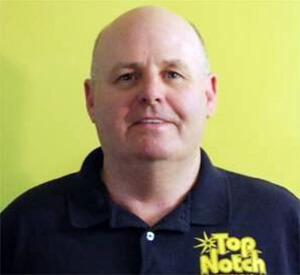 The team at TopNotch Heating & Air has working knowledge and familiarity with many different brands and models of furnaces. And we always have your best interest in mind. It’s important to maintain your furnace year after year. This way you can ensure your new furnace lasts up to the manufacturer’s recommended age and even longer. With good care and preventative maintenance, a furnace can last for up to twenty years. The alternative – replacing your furnace every ten years – isn’t all that economical. We recommend an annual furnace maintenance plan, or a seasonal tune-up-, to let our furnace technicians check common components, inspect for system leaks or clogs, and assess ductwork. However, even with regular maintenance, things can still go bump in the night. This is when our 24-hour emergency furnace repair services come into play. Whether your house doesn’t seem as warm as it should be or you’re noticing higher and higher utility bills, we’ll pinpoint and resolve the problem to get you and your family living comfortable again. Regardless of what type of furnace you have or want, TopNotch Heating & Air is here to help. Contact us today at 412-381-0598 for a free estimate.